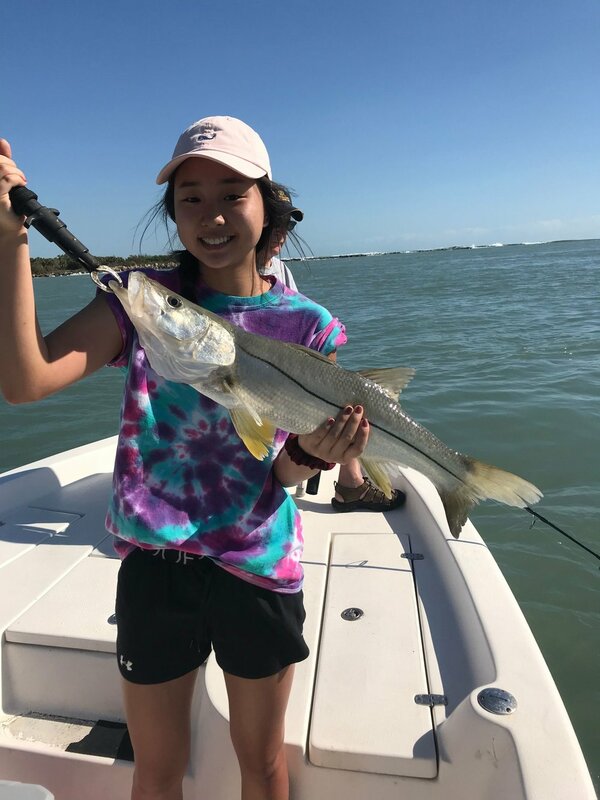 If its big fish and great memories your looking for then you certainly want to book a trip with an experienced Sebastian Inlet Fishing guide who knows the right tide, what bait to use and most importantly where the big fish are! A $100 deposit is required to book a trip. Your deposit will be refunded due to weather or mechanical problems. Cancellation due to inclement weather are at the Captains discretion. If you cancel within 48 hours of the trip, your deposit will not be refunded.
" Capt larry knew exactly where the fish were. Hooked 150lb tarpon. Had us on lots of fish. Supplies everything you will need to create a lasting memory. Thanks again capt. " 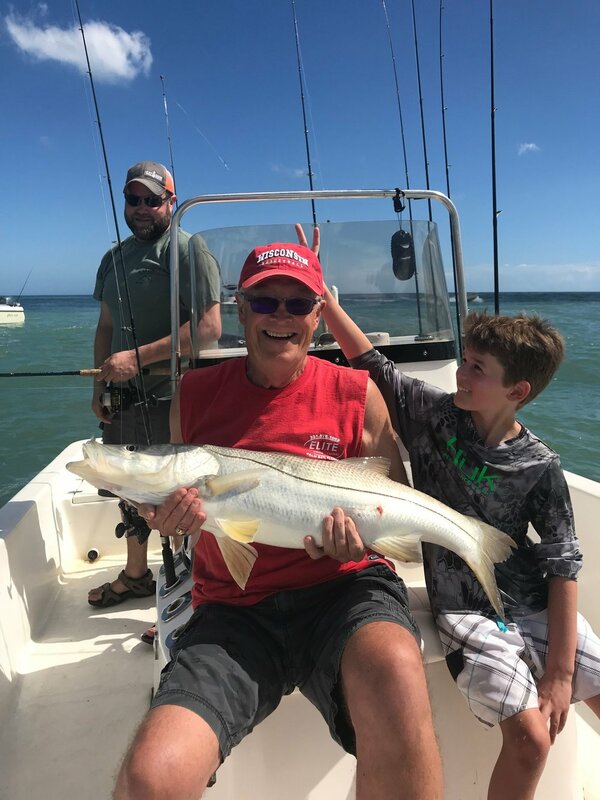 “ I’ve been fishing the East Central coast(mostly inshore)for almost 30 years myself so I appreciate fishing with a Captain like Larry. He’s gonna cut through the chase to put you on the best bet for a good time on the water. He had a solid plan for the day because he’s on the water and aware of current conditions. 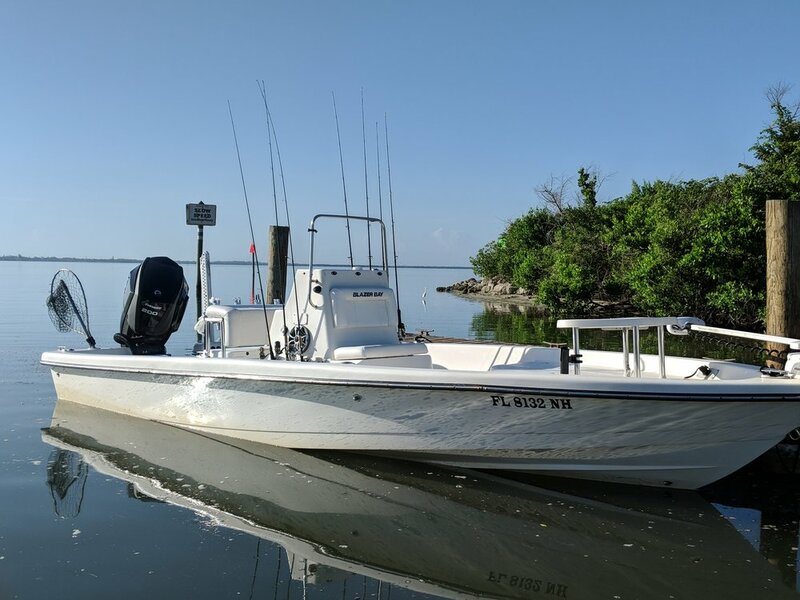 All of the tackle was well maintained, good riding fast and clean boat. 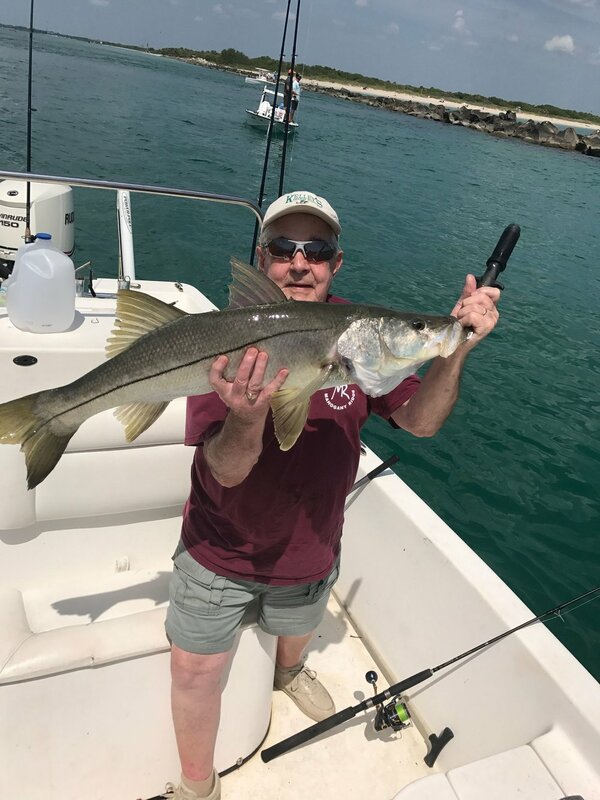 I had a very solid 3/4 day of fishing and would highly recommend this Charter service. 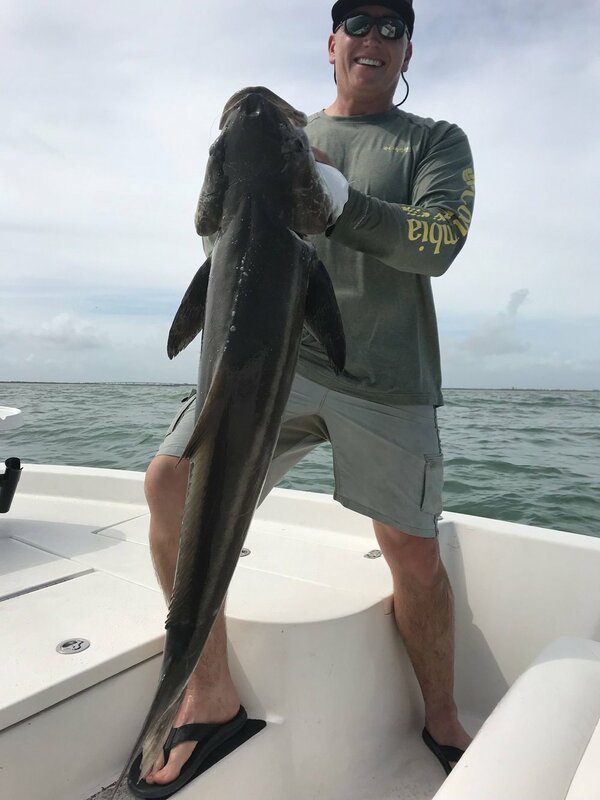 It exceeded my expectations for a fun day on the water and we ended up landing 8 Cobia as well as missing a few. Thanks again Capt. Larry and I’ll be back for a Snook trip this fall. " 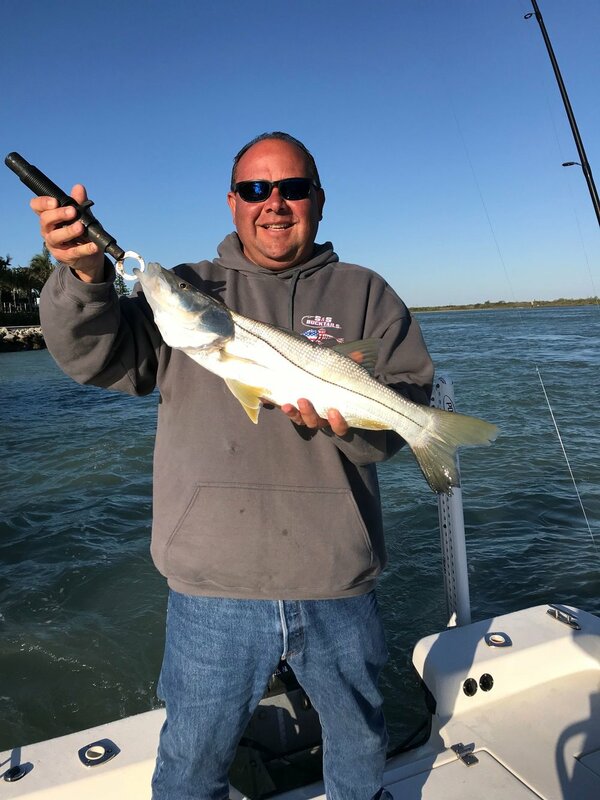 “ Had a great time fishing with Capt Larry. 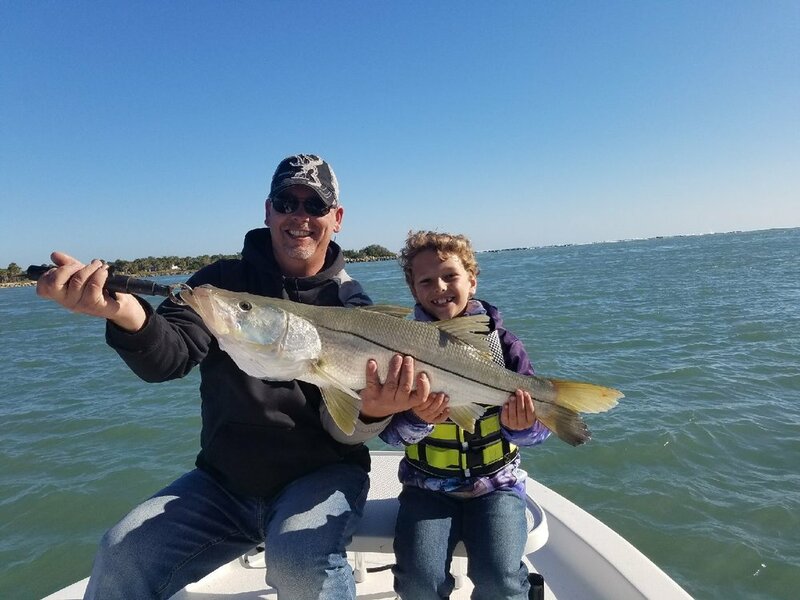 Took my son out to see what we could bring home for dinner. 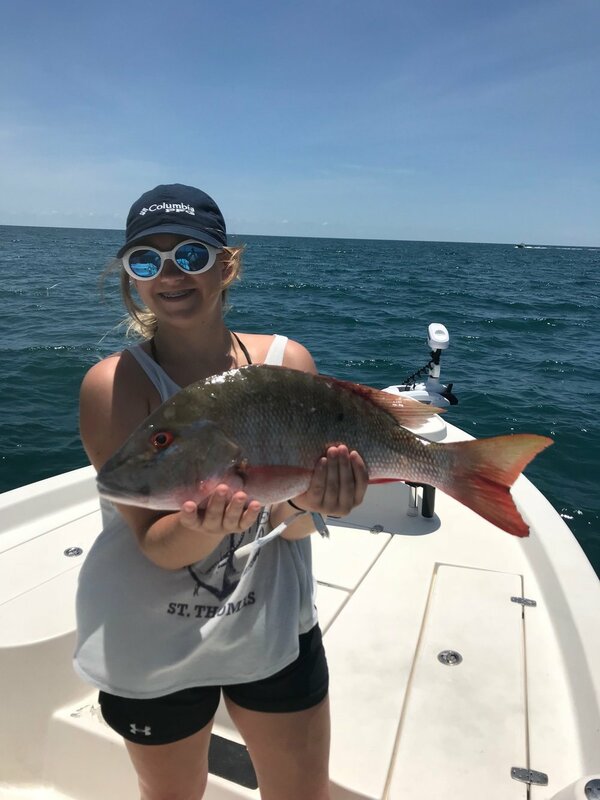 We ended up with 1 legal Mutton Snapper, but it sure wasn’t from Larry not giving it his all, as he put us on top of a bunch of fish. It just so happens that most of them were undersized, but we had a blast. (Can’t make the big ones bite the hook) The three of us joked all day, and made the trip great. We had a couple of monster fish on, but as it happens, the fishing gods kept them in the ocean for another day. My son fought through being overheated and getting sick to finish the trip off, mostly in part to Larry telling Zach to jump in the water to cool down. Thanks again for an enjoyable trip, and Zach and I promise to replenish your hook and split shot supply that we seriously depleted today "
We will go above and beyond to make your trip top notch.